Make an offer on this boat. This versatile 33 footer offers sleeping accommodations for up to 6 people and a spacious cockpit. Cabin is dual temperature regulated, both airconditioning and heating in one unit. 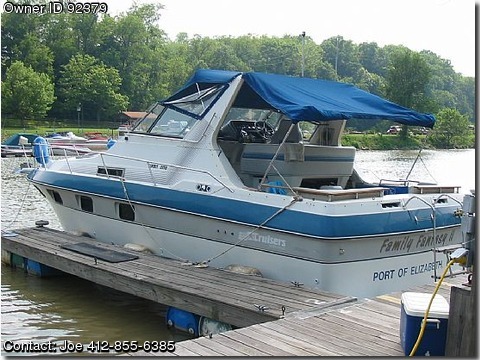 Boat is in solid mechanical condition and comes completely equipped. New Sunbrella camper top canvas in 2009 and new interior drapes and bedding in 2008. Extremely dependable power comes courtesy of her Crusader 454 V8s. Generator for off-shore power plus numerous accessories – too many to mention. Everything included to make your boating experience enjoyable.